I had made these Drunken Figs a very long time ago. What brought them to mind happened when I went looking for something, a bit different, to have as a sweet treat after dinner. 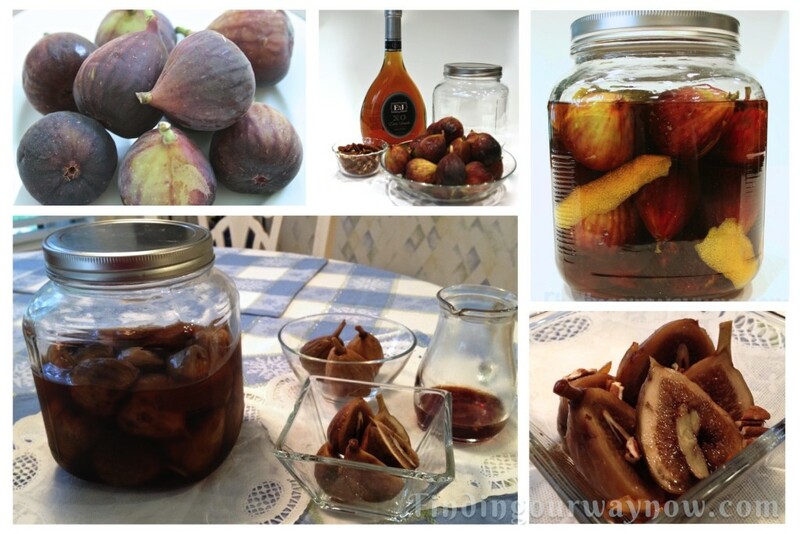 I pulled out my jar of Drunken Figs and remembered I hadn’t yet shared this on my blog. When fresh figs are in season, I’m in heaven. 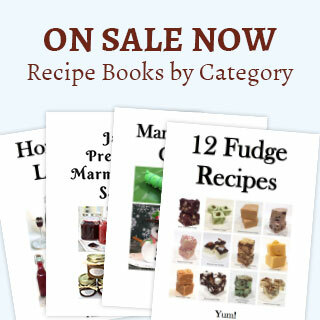 I use them to create super simple desserts, jams or preserve them in a sweet brandy mixture to have when they aren’t readily available. They’re a great treat for any fig lover, and the side benefit of a fig liqueur makes these even more fun to make and have on hand. Sterilize a large storage jar and set aside. Thoroughly clean the figs, taking care not to bruise them. At the bottom of each fig, opposite the stem, insert a half pecan, pushing it into the fig until it disappears. Mix the light corn syrup and Brandy or Cognac in a bowl until combined. 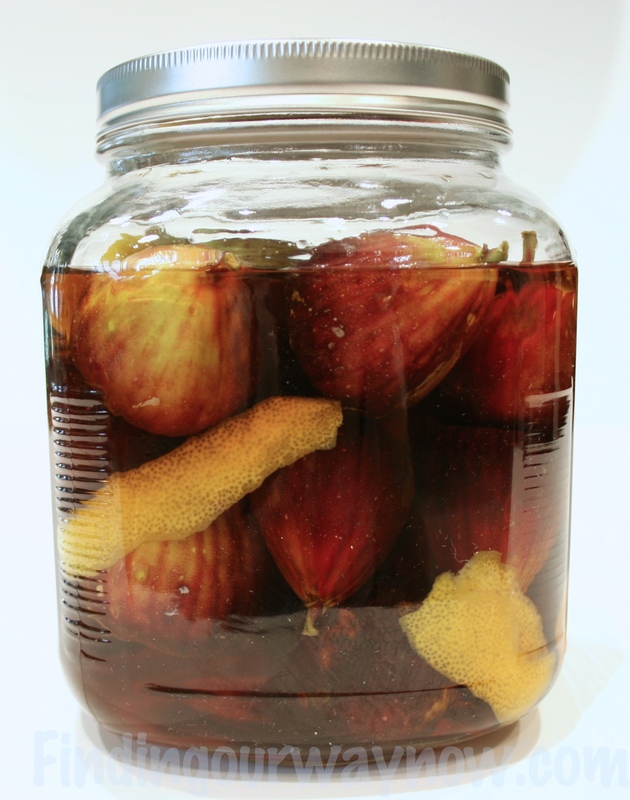 In the sterilized jars, pack the prepared figs, interspersing the strips of lemon zest throughout, then pour in the brandy mixture until the mixture just covers the figs. Place the lid tightly on the jar. Put the jar of brandied figs in a cool place – a refrigerator will do. Leave them there for at least a month. When they’re ready, gently remove a few figs. Create a brandy sauce by simmering some of the fig brandy with a bit of sugar or honey to taste and a small amount of apricot jam until the mixture is reduced by half. Add additional sweetener to your taste. Gently cut 2 to 3 figs in half, lengthwise to reveal the pecan. Place them on a serving dish or in a bowl. Pour the sauce over the figs, sprinkle with a few chopped pecans and serve. Notes: Use a good Brandy or Cognac. The better the Brandy or Cognac the better the outcome. The figs will keep in the brandy for a couple of years. 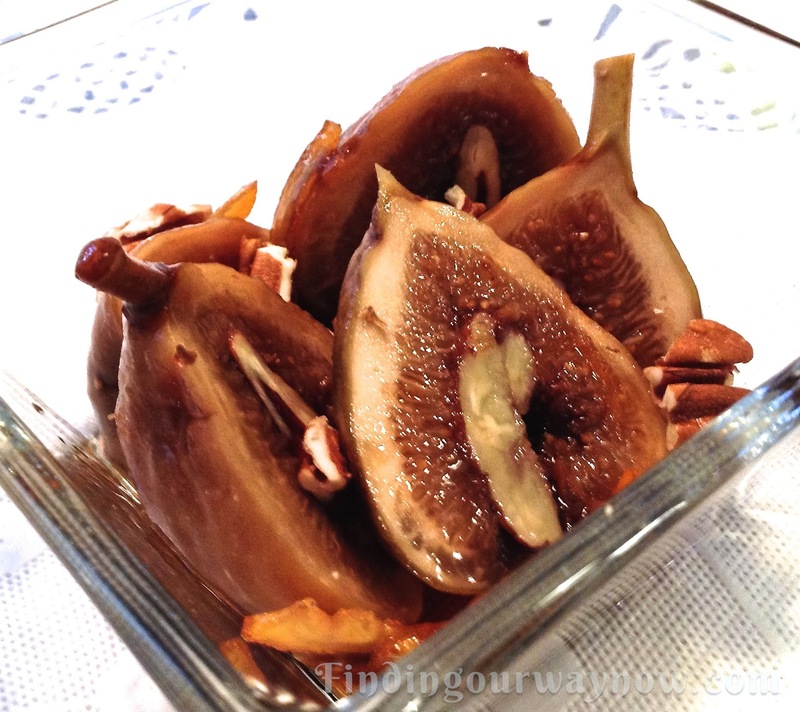 If you prefer you can leave the pecans out of the figs. They do add a nice nutty note, but they will still taste just as good without them. The sauce is not a precise recipe, it really depends on what you prefer, so experiment a bit. Make sure the figs remain in a cool place and they stay whole. Otherwise, the figs will become a bit too soft and mushy. When you’ve used all the figs, strain any leftover fig brandy liqueur in a decorative bottle and seal and keep it for a later time or to use in a recipe or two. These Drunken Figs are super easy to make. When they’re finally ready, I guarantee they will wow anyone you serve them to. As you’ve probably guessed, these drunken figs make great gifts, so plan ahead and make a few batches in smaller jars for just that reason. Enjoy. If you enjoyed my “Drunken Figs,” check out my Brandied Cherries, Easy Dried Fruits Compote, and Homemade Limoncello.